The Devil Baby Rides Again. Chibi Devi (Devil Baby) is a very short anime (15 episodes x 5 minute each = 75 minutes, or about the length of four episodes of a typical anime). 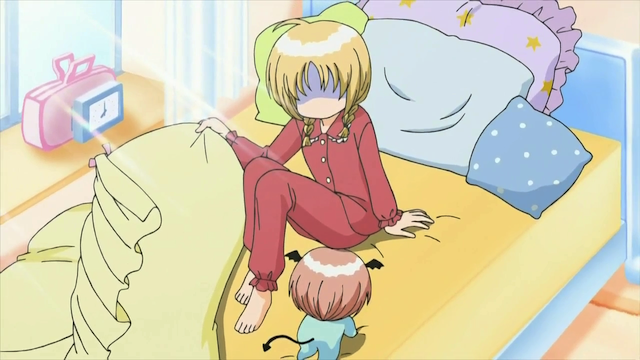 Unlike most of these very short anime, Chibi Devi is not built around a series of gags; it has a continuous story about a young girl who is very alone as the series begins. The aesthetic is VERY shoujo, so expect babies wearing funny outfits and *sparkles*. It also has a maddeningly infectious OP (linked below). I definitely wouldn’t say that it was a great series, but I can’t help but feel that the producers made effective use of their time. I have seen series drag the same amount of content out for 12 full-length episodes. I don’t mean to brag, but I learned ALL THE WORDS to that song, by the time I had finished the series. The Immaculate Conception. Sawada Honoka wakes up to find a baby in bed with her. Sawada Honoka, a lonely girl, without parents, who is bullied at school prays to God for someone to make her life less alone. Well someone responds by dropping a devil baby in her bed. Given that she is only 14, the baby makes things a bit awkward. Devil Baby has a Mama, but he needs a father figure, too. Taking care of the devil baby leads Sawada to interact with various people, including, yes, a romantic partnership. Over the course of the show Sawada grows a bit, and develops some friendships, as well as developing a bond with the devil baby himself. It is pretty much what you might expect from the setting, handled just like a shoujo story. The strong point is that it tells the whole story in just 75 minutes. There is very little filler. 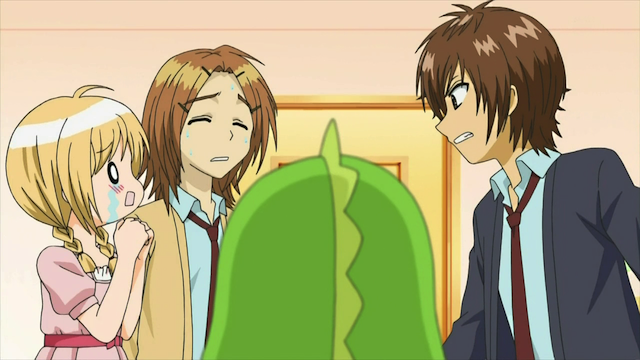 Honestly if shoujo makes you puke, feel free to stay away from Chibi Devi. If you can stand a show that consciously tries to be cute, by binging on shots of babies, and a storyline about a girl playing house with a devil baby and a bishounen, this is a short series that does it’s thing and then ends. I’ll have to check it out. At 5 minutes per episode, it can’t hurt. Exactly, in about the same time commitment as doing a three episode taste test for a normal series, you can watch the whole series. Interesting. I didn’t realize it was ongoing. It seemed like a pretty good ending at the time. They had the opportunity to walk away, but decided to make the “family” permanent.